Some will be answered. Some will be dodged. Some will be dismissed all together. Some will sound silly six months from now, while others might prove to be prophetic. Watch, listen and read throughout training camp and you just might learn something about the Denver Broncos. Or, you might not. It’s just so hard to say here on the last day of July. I’d never tell you it’s a waste of time – I mean, here we are; I’m writing and you’re reading – but the truth of the matter is that nearly every question, answer, observation or hot take that takes place during training camp can be effectively thrown out the window once the regular season begins. Want to know who looks good? Who’s winning a position battle? Who’s truly injured and who’s not? Hang up and call back on Sept. 9. That’s it. That’s all. The rest is just white noise. 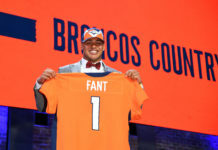 Oh, there will be some fascinating developments, camp favorites, overhyped hopefuls and great off the field stories written during camp (check out our friend @NickiJhabvala for a few of those). All fine and well. Hey, sports are just another form of entertainment. 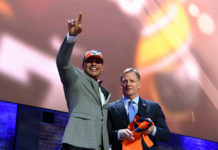 But again, the one answer that makes a difference between a fruitful season and one everyone hopes to forget – like, oh, last year, for example – is whether or not the Broncos have found their quarterback. I hate to dismiss 52 other players, 22 “Janos”, No. 88, 58 or 25. I also don’t mean to discount a coaching staff that’s supposedly learned a lot this offseason. And yes, I understand it’s a team game; whether your QB is named Case, Tom, Peyton or Drew, there are other important parts. I get that. But tell me this: When was the last time the Broncos were truly good without a really good quarterback? Morton was good but not great. In ’77, he basically got it done. Or, rather, he didn’t screw it up behind an extraordinary defense. That team went all the way to the Super Bowl with a “good but not great” quarterback in Morton. It should be noted that Morton did win the ’77 Comeback Player of the Year, as well as the ’77 AFC Offensive Player of the Year. He threw for 1,929 yards, 14 touchdowns and eight interceptions. Not bad for the times, but nothing too notable either. In ’81 he was statistically much better (3,195 yards, 21 TDs, 14 INTs), but the Broncos finished 10-6 and out of the playoffs. The Broncos made the playoffs with both Brian Griese and Tim Tebow, but were bounced quickly in both instances. Under Jake Plummer – who was pretty damn good in my opinion – the franchise went to three straight postseasons and advanced all the way to the AFC Championship in 2005. The moral of the story is pretty simple: Good quarterback? Good chance for a good team. Bad quarterback? It’s almost a lock the Broncos will be bad (see Trevor Siemian and Kyle Orton). As it pertains to Keenum, it’s fair to say he’s probably not going to pan out to be Peyton Manning or John Elway. That’s okay; that’s no knock at all. The question then becomes, is he more of a Jake Plummer type, or more like Orton, Cutler, Griese or Siemian? Let’s hope the coach is right. That could be argued either way. Last season, Keenum completed 67.7 percent of this passes, which ranked him second behind Tom Brady; excellent, no question. The season before that in L.A., he was 60.9 percent, which would rank him in the bottom half the league in most recent years. With Houston, Keenum’s first three seasons, he completed just 55.2 percent (Ironically, Joseph said, “I was with Case in Houston and his accuracy has always been very, very good.”). 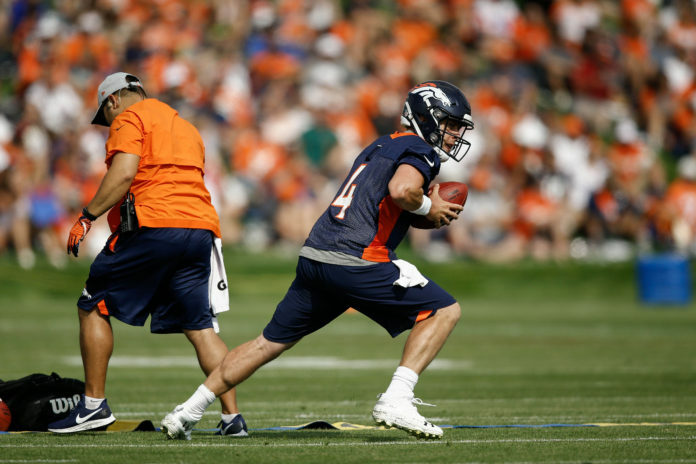 Certainly, last season should tell us much more than two days of camp in Denver, or whatever Vance Joseph – who spoke highly of Trevor Siemian last camp and thought competition at the quarterback position was great – tells us. Because if he’s not when Sept. 9 rolls around, none of what happens at camp matters much anyway.